The bottles that Ezra Brooks 12 year old come in are very well crafted. Unfortunately, the stuff inside is not. A question that came up between myself and the bartender was “Who was Ezra Brooks?” He had no clue, and a google search turned up no clues. If you have any ideas, please drop us a line in the comments section below. 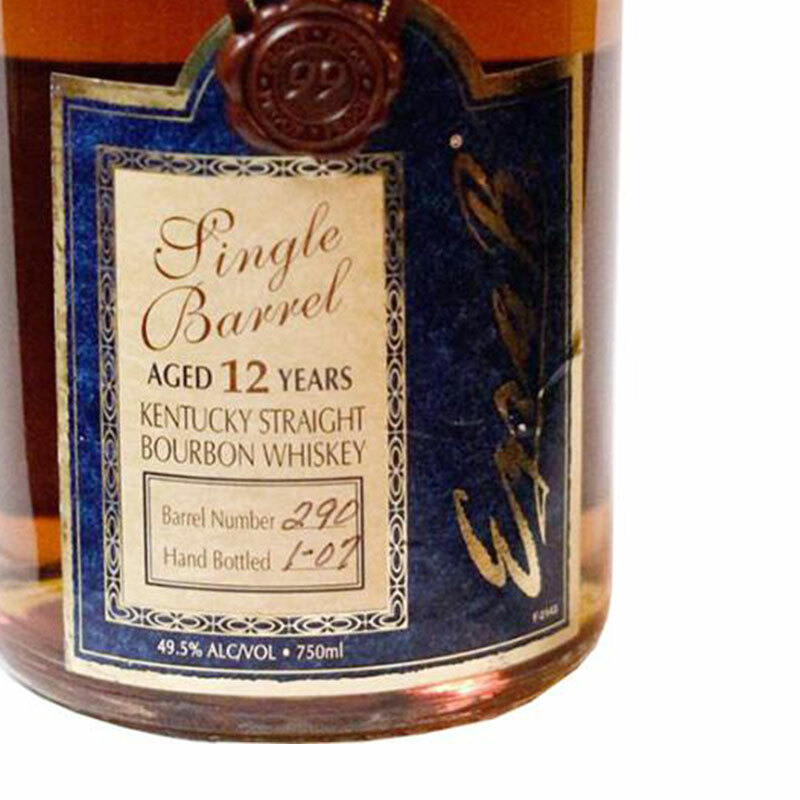 Ezra Brooks is a single barrel bourbon, and they pride themselves on that fact by proudly displaying the hand-written barrel number on the label. We have barrel 478 in house. Someone should have warned me that this was charcoal filtered. I will say that despite the hint of charcoal on the nose, the palate is surprisingly citrusy and reminiscent of springtime. The finish is long and heavy with orange. Long after, there is the strange presence of ham on my palate. There is a truly strange interplay going on here, and I am not entirely sure that it is a good thing. Locally, bottles of Ezra B 12 go for around $35 per 750/ml. Overpriced in my opinion. I would dRop just a few bucks at the bar before buying a bottle. Hey, you may love it! I have read reviews in other forums singing the praises of Ezra Brooks 12, so who knows. I don’t have too much to say about this whiskey…and thats very uncharacteristic of me. Perhaps thats a testament to the ill-structure or the misplaced taste of meat on my palate. Ezra Brooks 12 Year Old is by no means a top shelf bourbon, but it’s not a well whiskey either. This stuff is well flavored, but awkwardly structured. It can be a great standalone bourbon, but not versatile enough to be used in Manhattans or whiskey sours. I give Ezra Brooks 12 Year Old a C.
Its a decent bourbon, but nothing special. Not well..but not special. Again, try it at a bar before you buy a bottle. What do you think? Have you tried Ezra Brooks 12 Year Old? Leave us a review below with your own thoughts and tasting notes! This is a pretty good/true review. I’m sipping it and rather like it, but I do think it’s overpriced. I also liked it a bit better before you named the “ham aftertaste”…now it’s all that I’m noticing. Orange to a ham finish is pretty spot on. Totally agree. My coworkers raved about this bottle so I got one discounted without tasting it first. Mistake. It’s not bad, but it’s not balanced with alcohol or – as you said – structure. There’s an odd play between sweet and burn with this one, a marker (for me at least) of an inelegant bourbon. Not bad, just not for me. But again – my coworkers raved about it, and they know their stuff. So I guess it’s a pretty subjective pick. I have a EZRA BROOKS 12 Railroad Engine Decanter. Value? Empty. Ezra Brooks is on a billboard in the movie “The Sting”. Just saw that and you are right, sir. Good eye!